Take a step outside and enter the laboratories of several Kansas State University researchers. 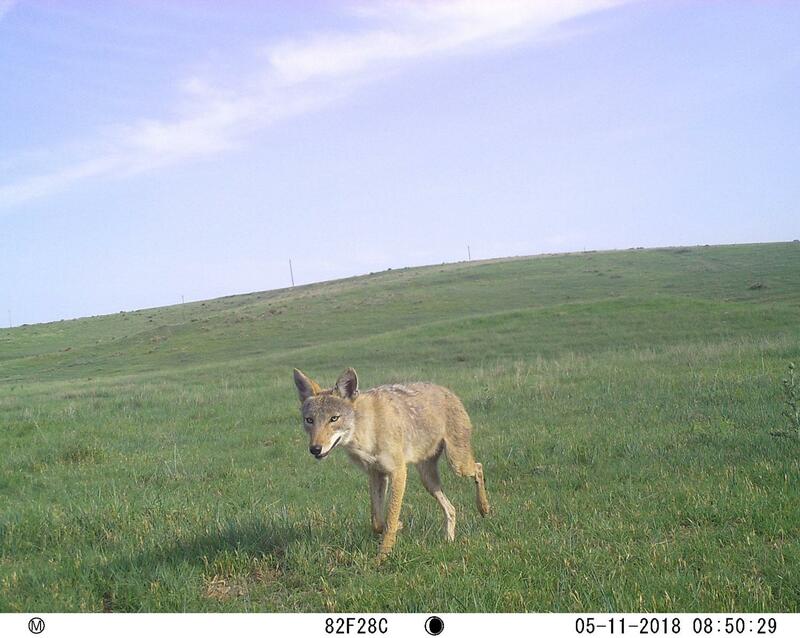 Scientist Ty Werdel’s laboratory is the shortgrass prairie, where he is capturing images of the swift fox to understand the health of the Kansas landscape. 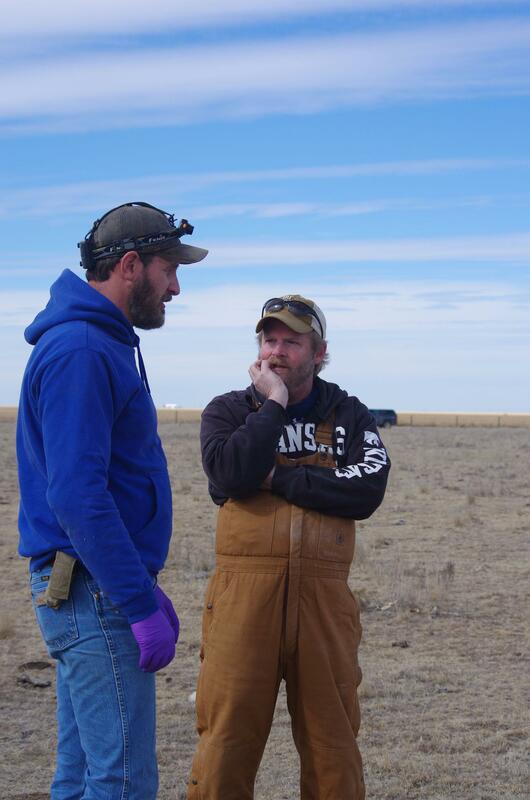 Wildlife specialists David Haukos and Drew Ricketts work in the High Plains as they track two deer species to see where they’re moving, how long they live and how these factors affect populations. 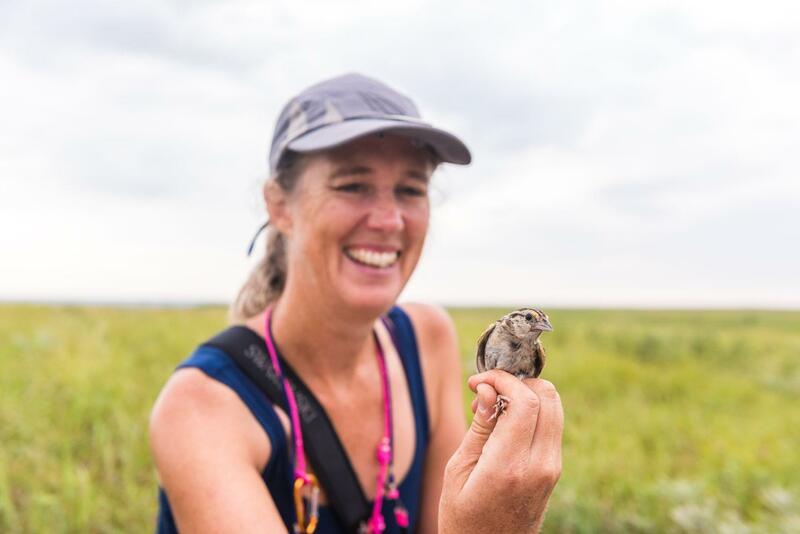 Biologist Alice Boyle spends her time with birds in two outdoor locations: the Kansas Flint Hills and the rainforests of Central America. She studies how weather patterns affect bird movement. These researchers know there is a lot we can learn from the wild. That’s why they are searching the prairie, scanning the skies and traveling across forests and plains to track down wildlife. Their questions are as numerous as the species they study. They want to know: How are animals changing? Where are they moving? What can they tell us about the ecosystems where they live? Why is that important? To find the answers, follow these scientists into the wild. 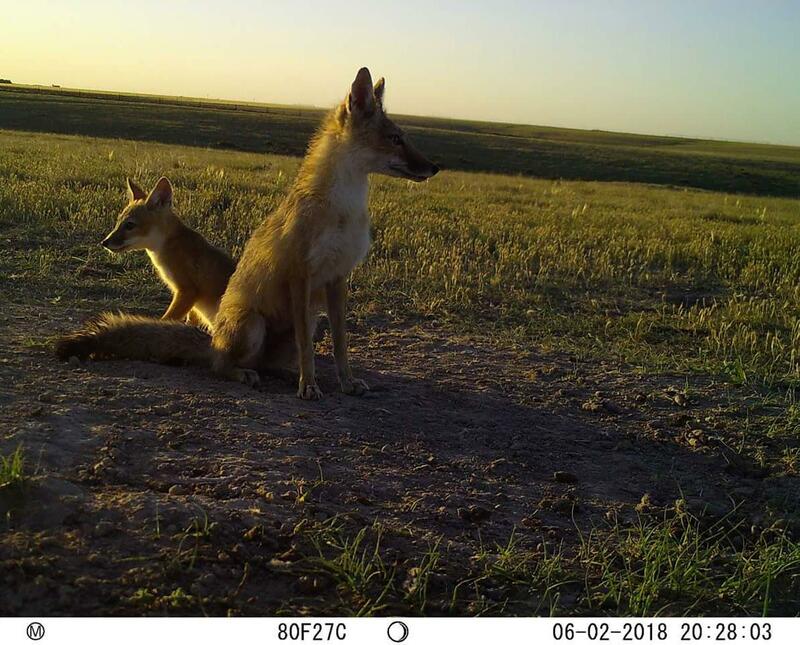 University wildlife researchers are studying swift foxes by placing game cameras on 360 sites in western Kansas. 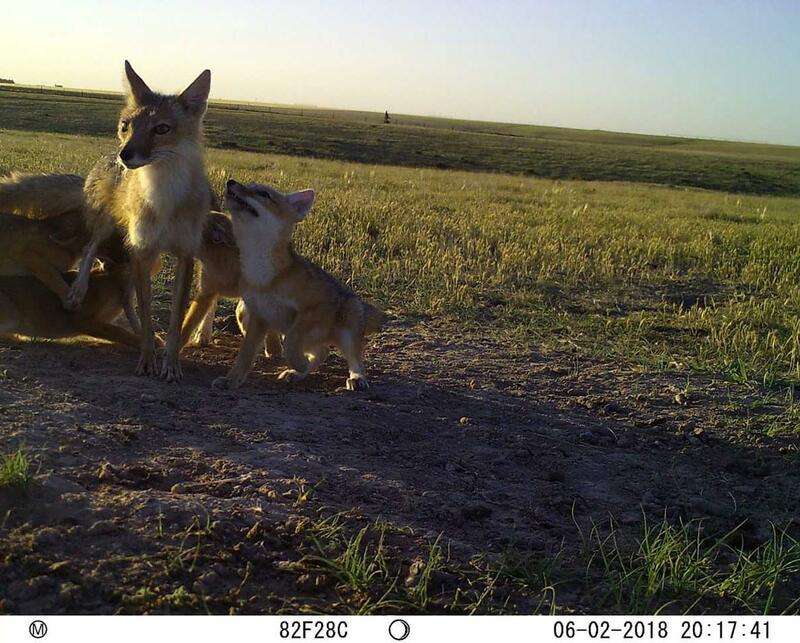 This photo gallery shows some of the images they have captured of western Kansas wildlife, including swift foxes, hawks, coyotes, skunks, bobcats, turkeys, deer, quail and cattle. One of the biggest indicators of a healthy ecosystem is no bigger than a household cat. Meet the swift fox — if you can catch a glimpse. The swift fox is an iconic, and adorable, shortgrass prairie species that is native to Kansas. The foxes are small; they weigh around 5 pounds and are only about a foot tall. Swift foxes share habitats with animals such as grassland birds, prairie dogs and ground squirrels. Swift foxes need to live in shortgrass to be able to see predators, such as coyotes. But swift fox populations have declined in recent years as shortgrass prairies have dwindled. 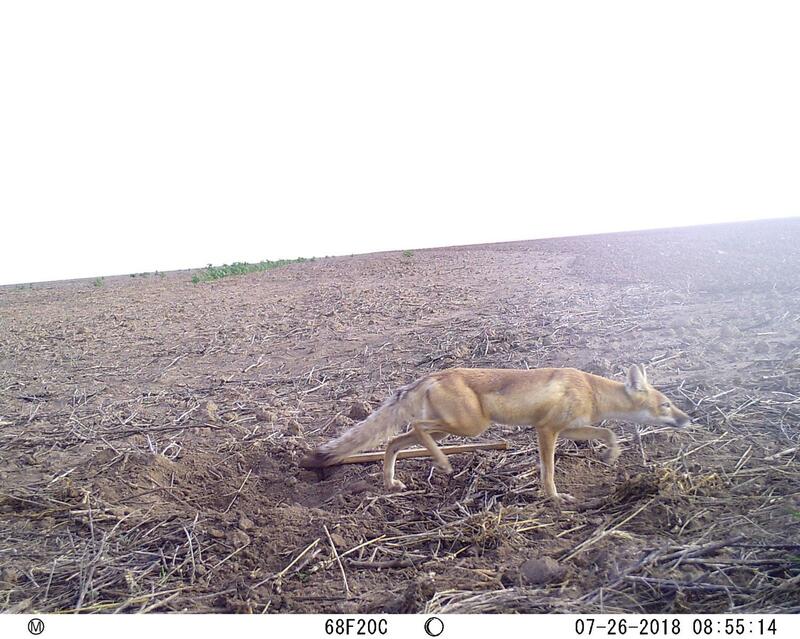 To understand swift fox populations, Werdel and a research team spent the summer breeding months tracking swift fox in 31 Kansas counties. 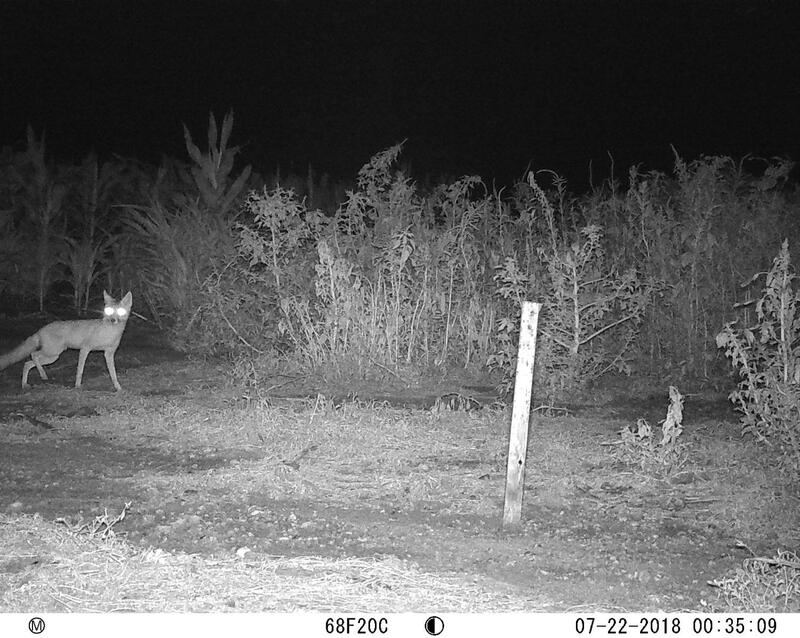 They used cameras to capture images that show the presence of swift foxes. Werdel is working under the direction of Adam Ahlers, assistant professor of wildlife and outdoor enterprise management. Their team of technicians includes Chelsea Werdel, junior in entrepreneurship; Asa Lee, senior in wildlife and outdoor enterprise management; and Colleen Piper from the University of Georgia. 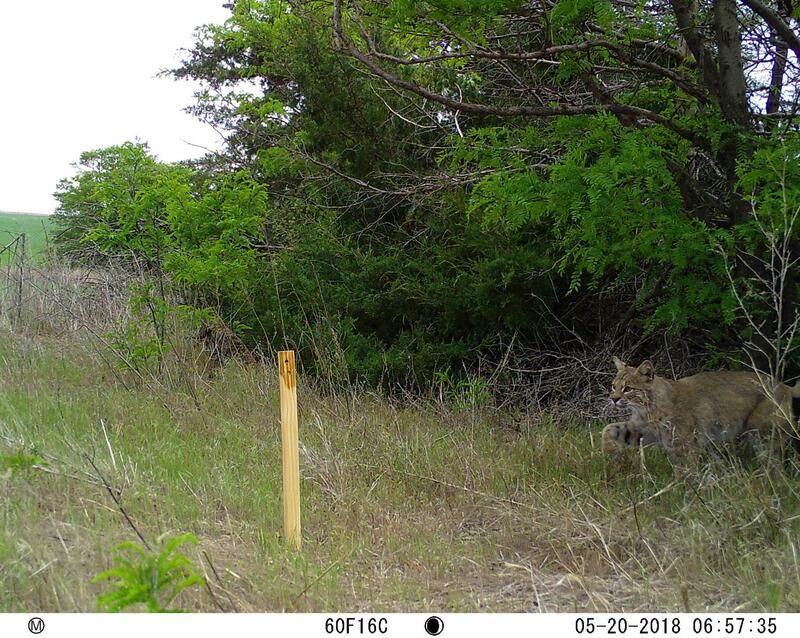 The project is supported with a three-year grant from the Kansas Department of Wildlife, Parks and Tourism. 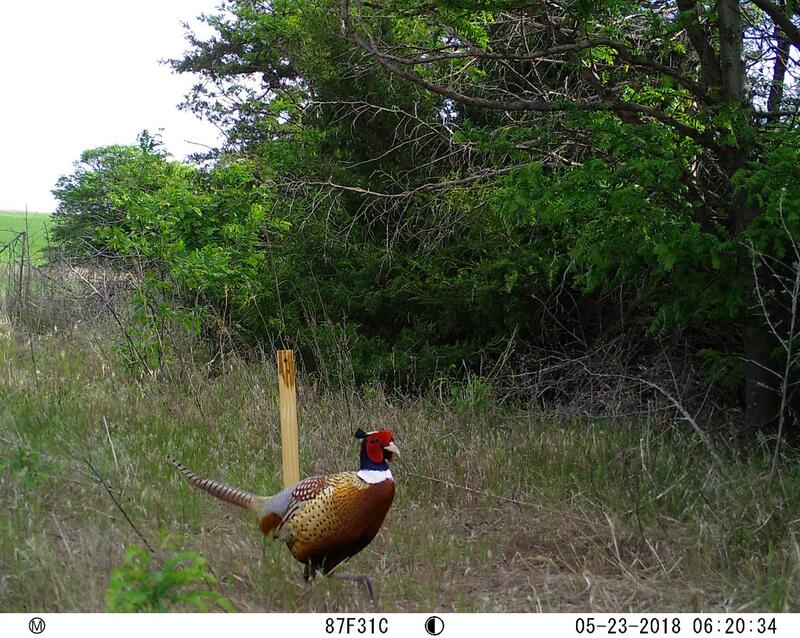 The researchers have worked with private landowners to place game cameras on 360 sites in western Kansas stretching from the Nebraska to Oklahoma borders. 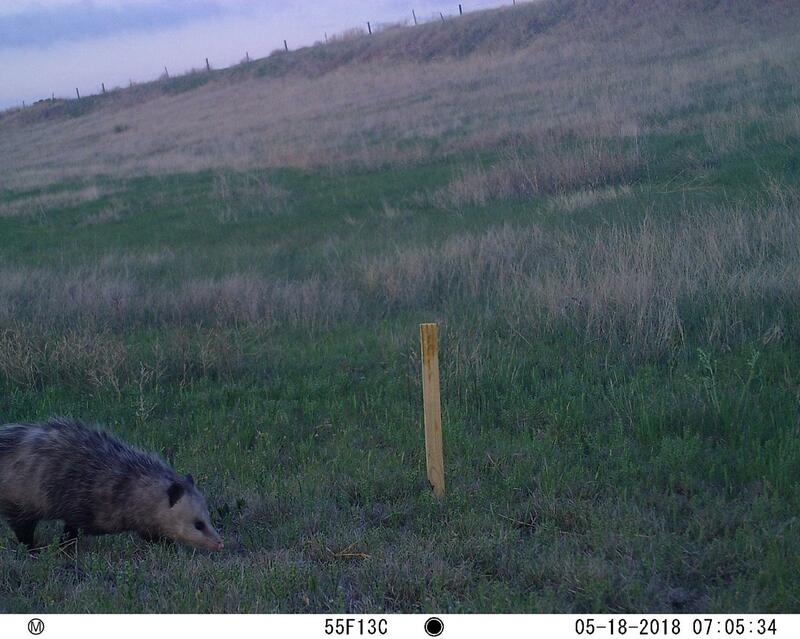 They place the cameras on metal stakes near skunk bait, which they use to attract animals. 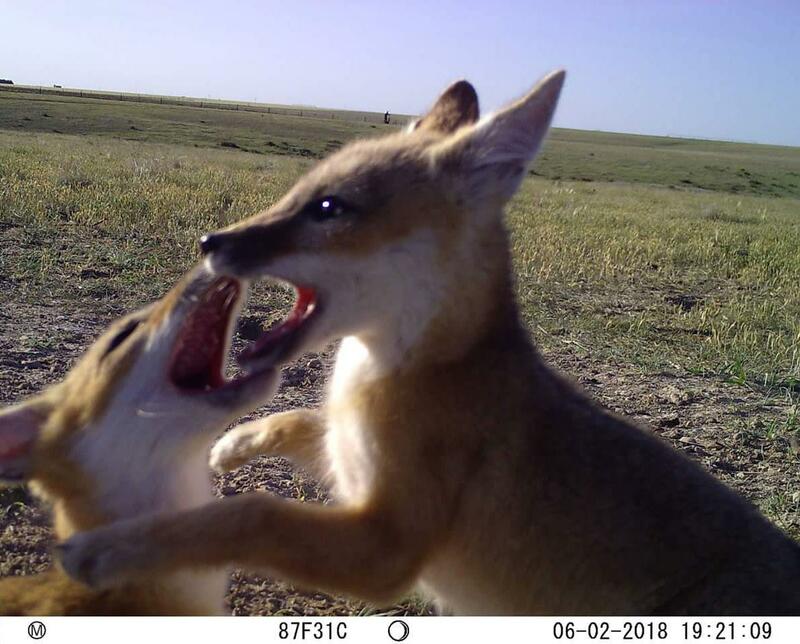 The motion-activated cameras capture images — ideally images of swift foxes — whenever they detect movement. 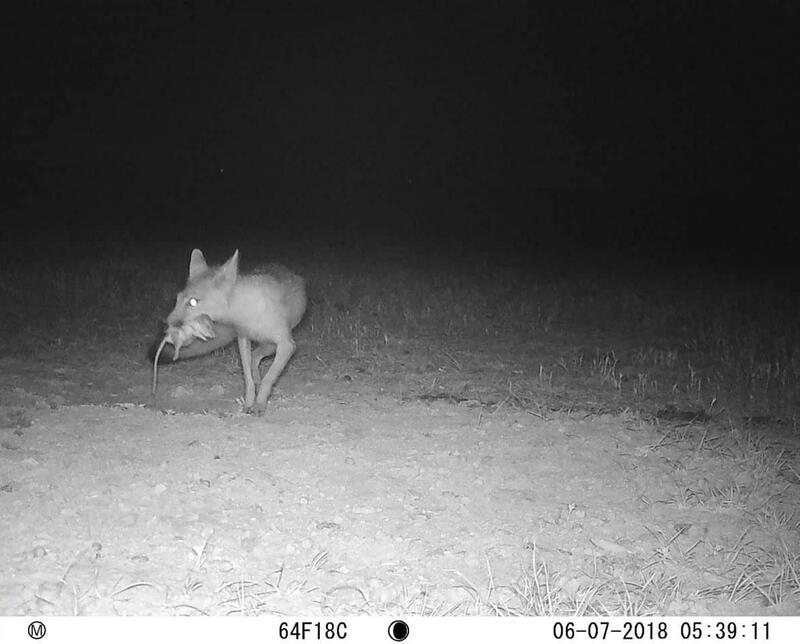 The researchers have captured a variety of swift fox photos: a blurry fox running by in the middle of the night with a mouse in its mouth; a fox den with a mother and her babies; two fox pups playfully roughhousing. 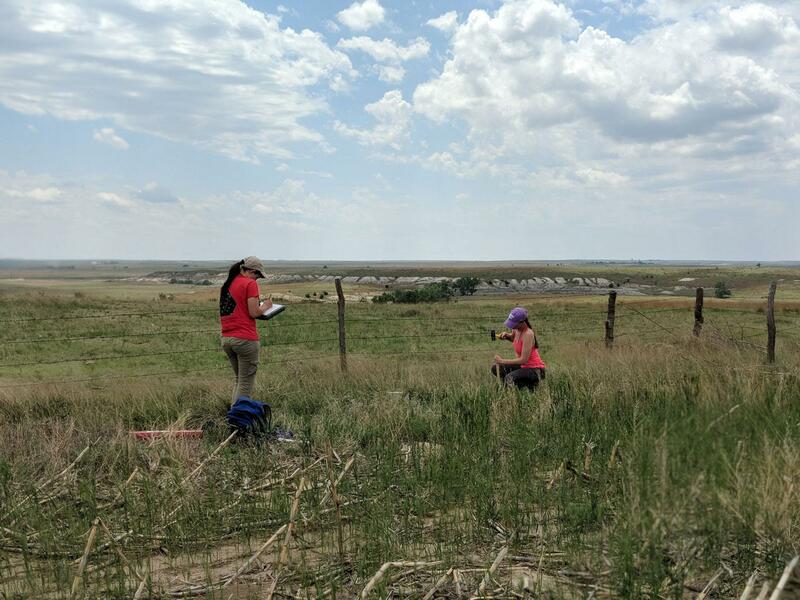 The team is using the images to create a map that shows where swift foxes can be found throughout western Kansas. 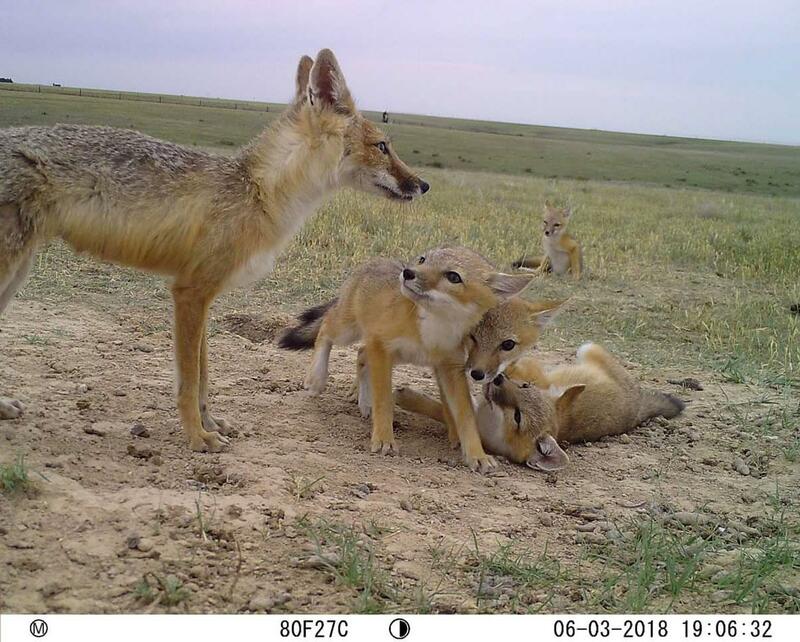 Werdel is investigating how landscapes, habitat, vegetation, precipitation and climate affect where the foxes are located. 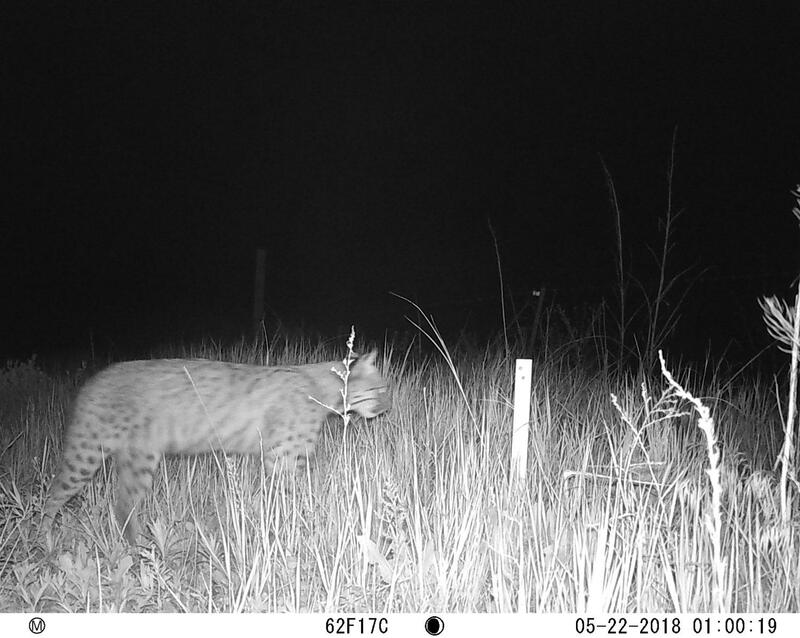 Perhaps what is just as interesting and humorous are the photos that the team has captured of other animals: a herd of cattle gathering curiously around the camera; a bobcat sneaking nearby; a flying hawk diving toward prey. 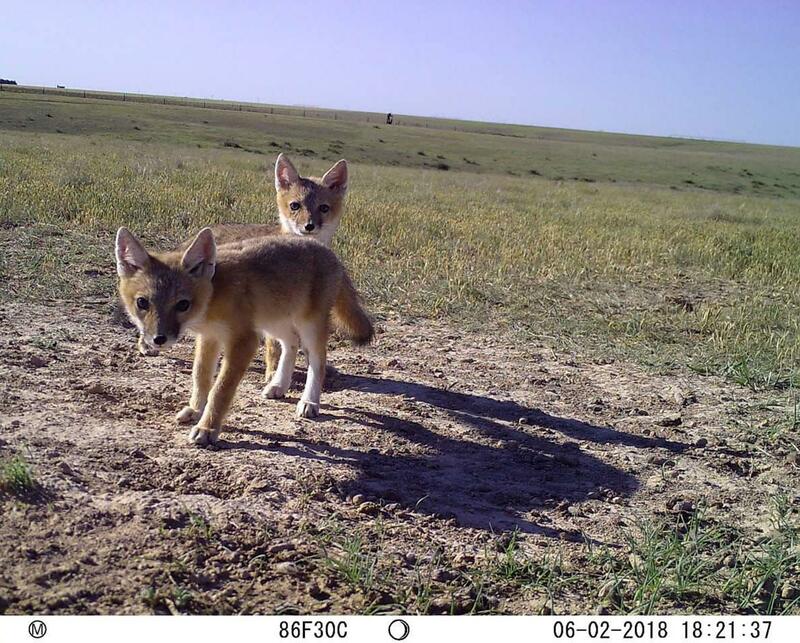 Although their primary goal is to track the presence of swift foxes, the researchers are learning about the variety of wildlife across the western portion of the state as they work to understand the health of the Kansas prairie. 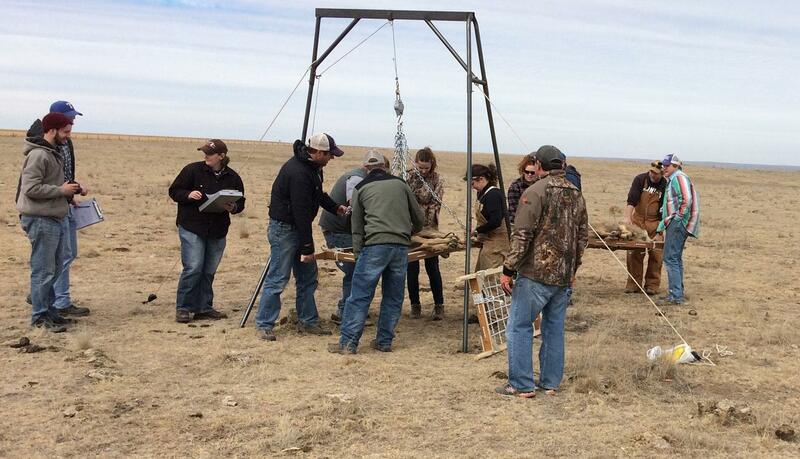 A group of K-State researchers is conducting the largest deer study ever performed in Kansas. 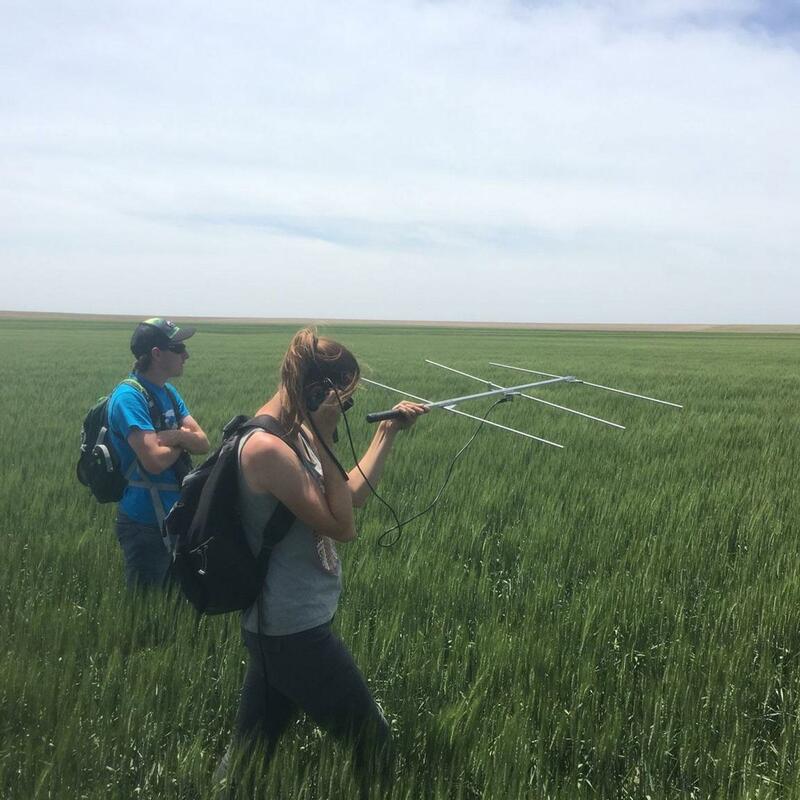 They are tracking two native Kansas deer species — the white-tailed deer and the mule deer — to understand how the deer are moving throughout the state. 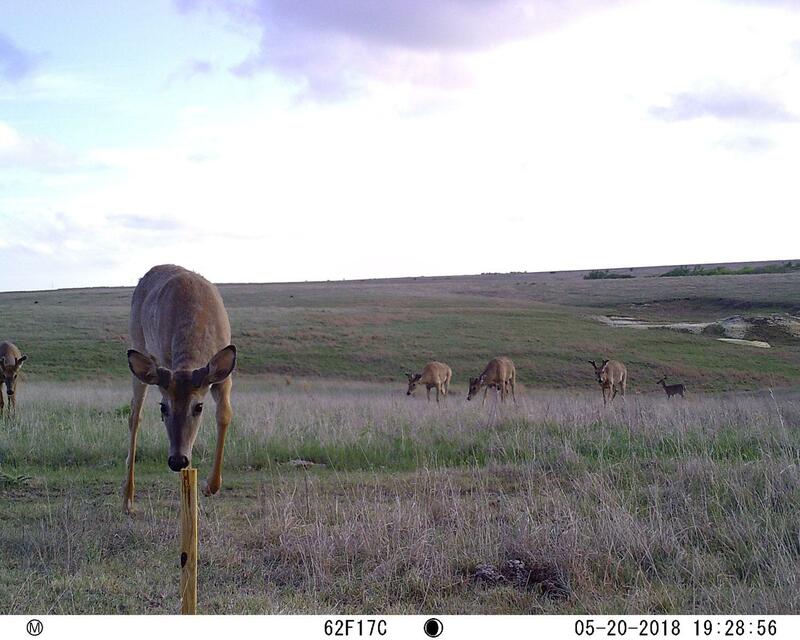 Another group of K-State researchers is conducting the largest deer study ever performed in Kansas. 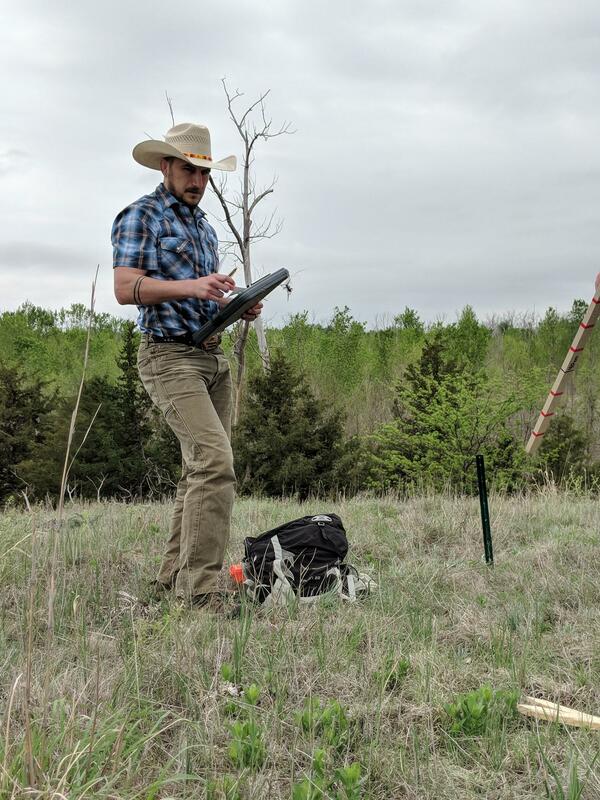 Their goal: Track two native Kansas deer species — the white-tailed deer and the mule deer — to understand how the deer are moving throughout the state. The information is important for farming, disease control and hunting. 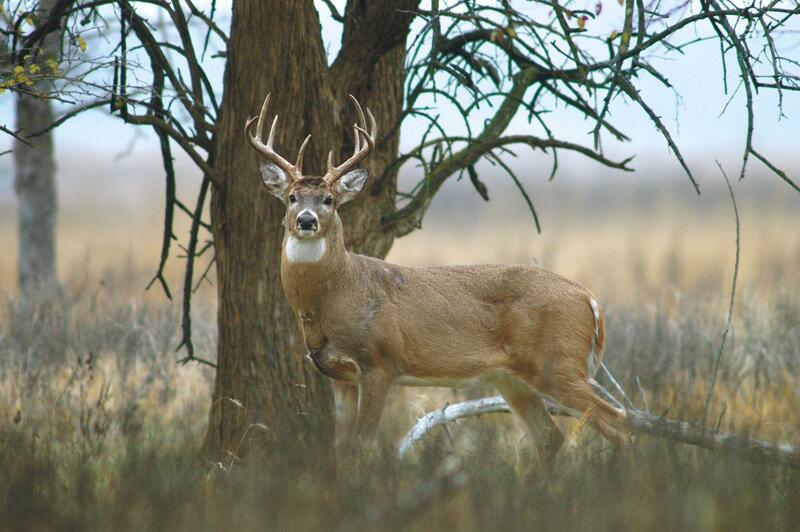 For the past 50 years, the presence of the two deer species has changed rapidly in Kansas. Mule deer populations have declined and moved farther west, whereas white- tailed deer populations have increased throughout the state, but especially in the west. Those deer population changes are concerning for multiple reasons, Ricketts said. 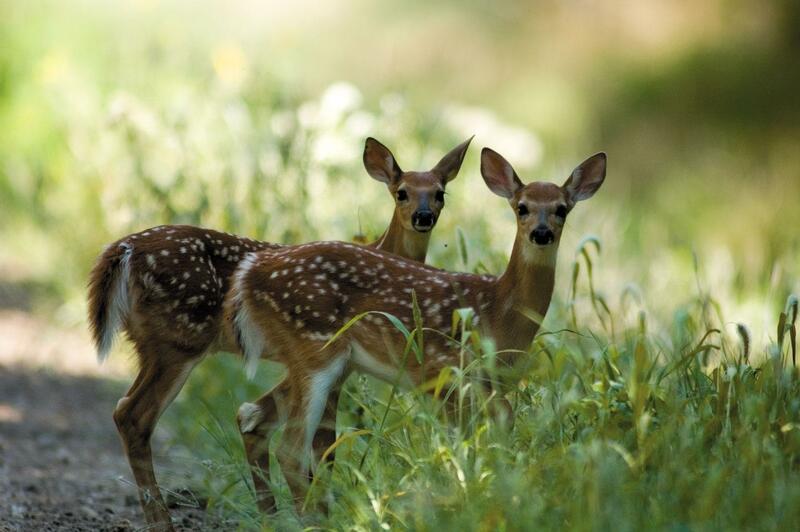 More deer mean more crop depredation; increases in vehicle-deer collisions; and the further spread of diseases carried by deer, such as chronic wasting disease. 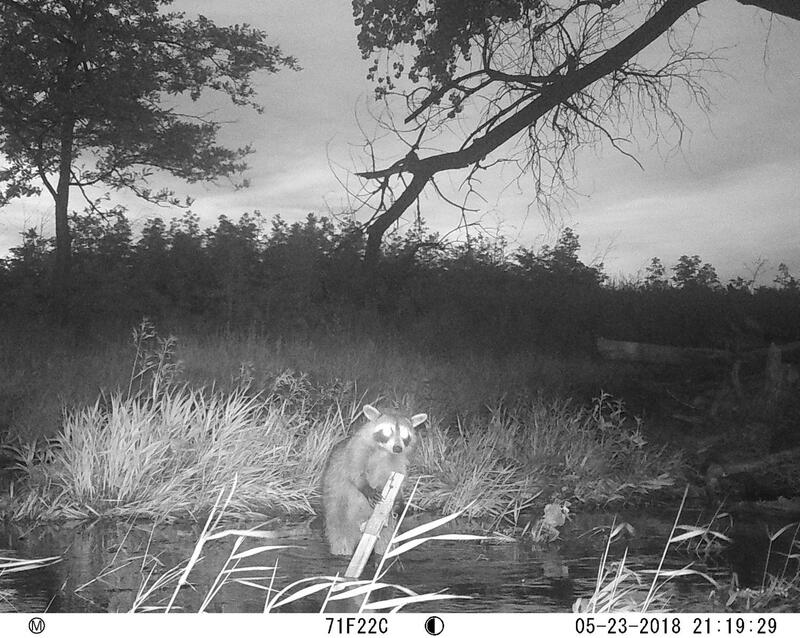 “We’re trying to understand if there are any interactions between the two deer species or if it’s mostly changes in landscape or habitat that are causing these trends,” said David Haukos, project co-leader and associate professor of biology. 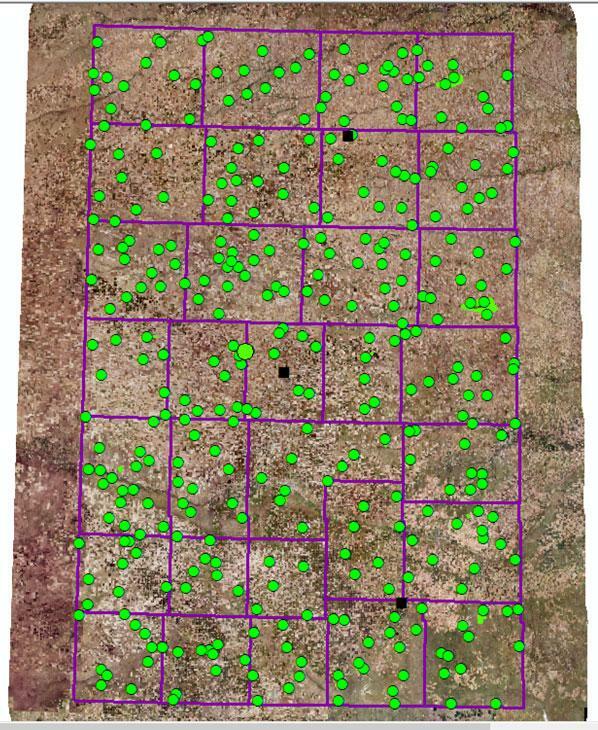 The study involves more than 100,000 acres of private land in 10 counties in northwestern Kansas. 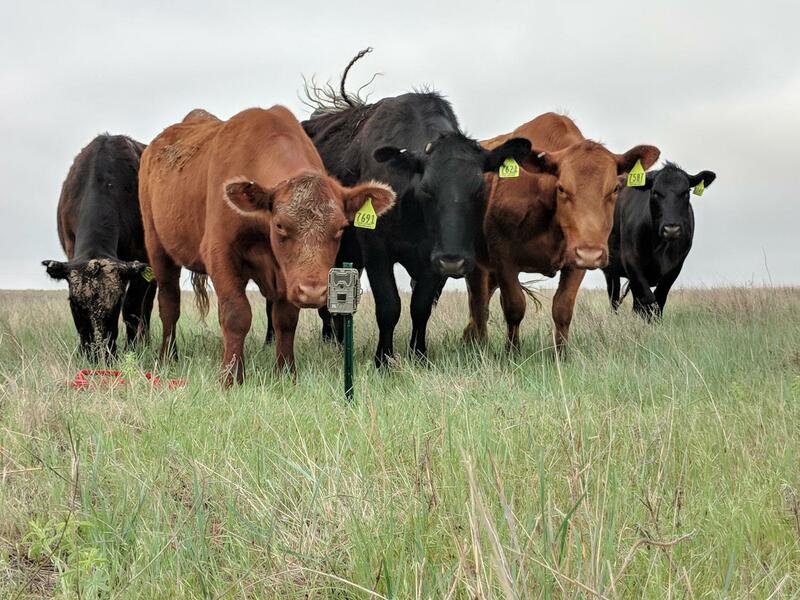 It is a three- year project with funding from the Kansas Department of Wildlife, Parks and Tourism; the Kansas Cooperative Fish and Wildlife Research Unit; the Mule Deer Foundation; and smaller conservation groups. 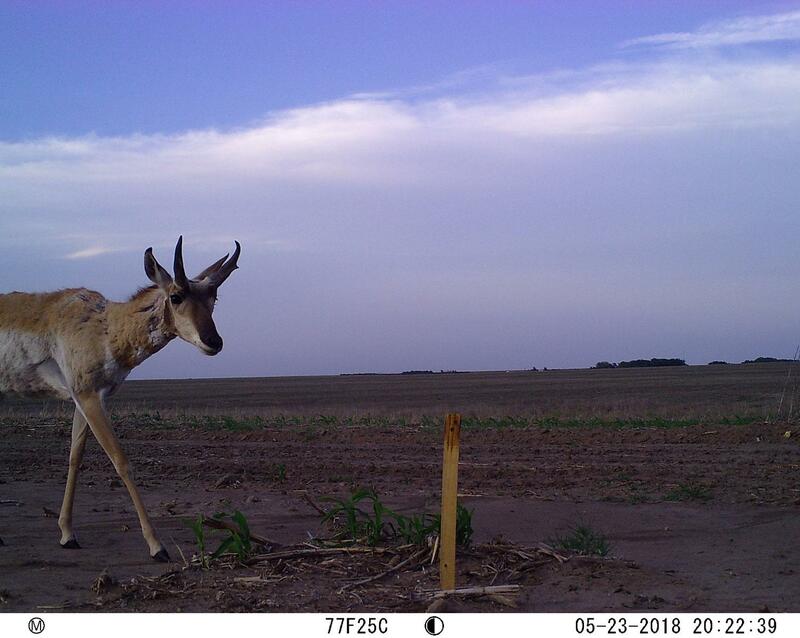 For the grant’s first year, the researchers partnered with a helicopter company to find, capture and tag more than 130 does, bucks and fawns during the spring 2018 breeding season. 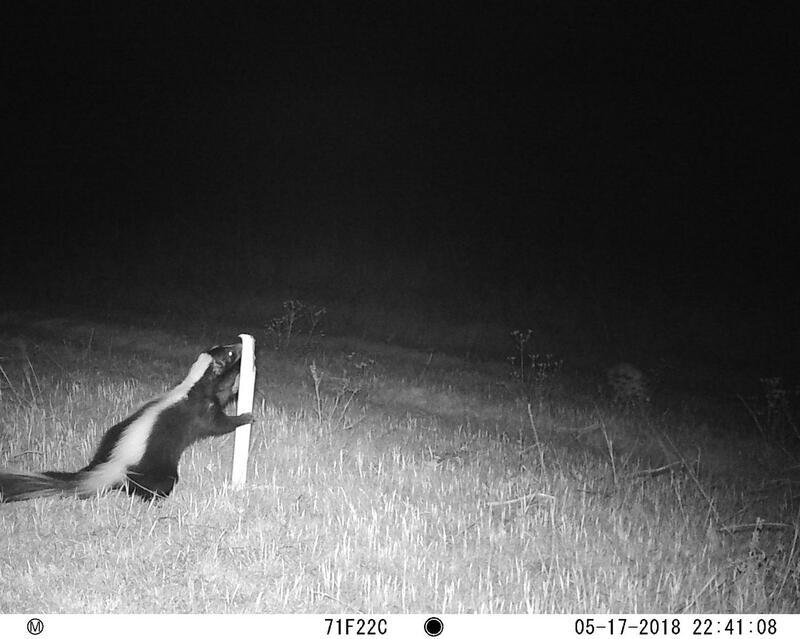 The researchers took deer measurements, including blood, hoof size, weight and leg length, as well as habitat measurements, including nearby vegetation and grass height. 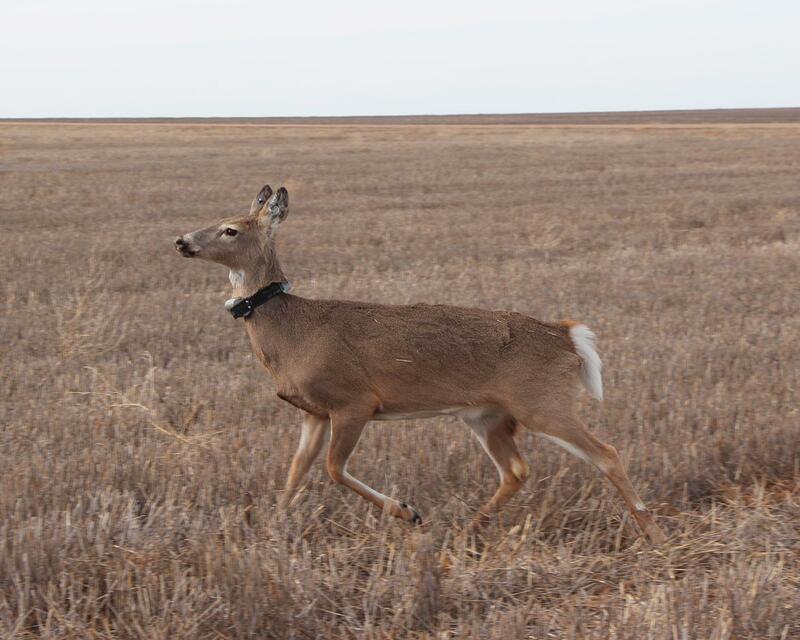 They also marked each deer with a GPS satellite collar, which creates a record of where the deer has traveled and shows if the animal spends more time in grassland or forested areas. 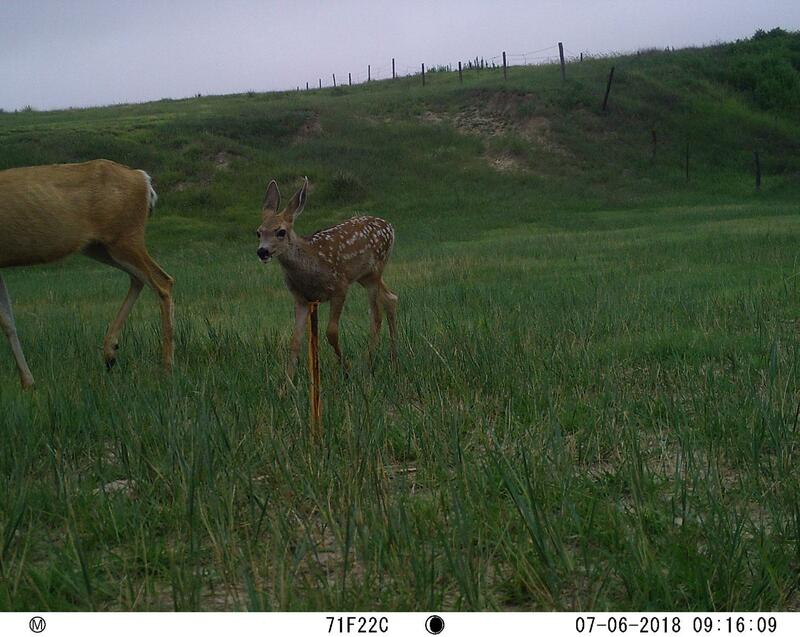 Early data analysis has revealed a surprising result: More does are giving birth to fawns in open areas, such as wheat fields, with little cover. Typically, does give birth in wooded areas with tree and shrub cover for protection. The researchers are not sure why the change is happening, but they want to find out more by continuing to track deer and analyze data. The project involves a large team of graduate students: Maureen Kinlan, master’s student in biology; Mitchell Kern, master’s student in horticulture and natural resources; and Talesha Karish, doctoral student in biology. It involves four technicians and numerous veterinarians and landowners. 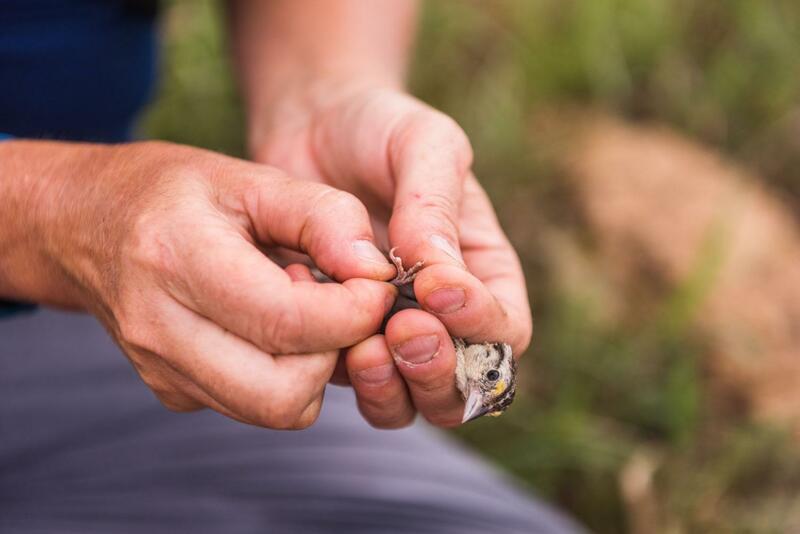 Alice Boyle, assistant professor of biology, and her research team are studying birds from the hills of the Konza Prairie Biological Station to the mountains of Central America. This photo gallery shows their research process. 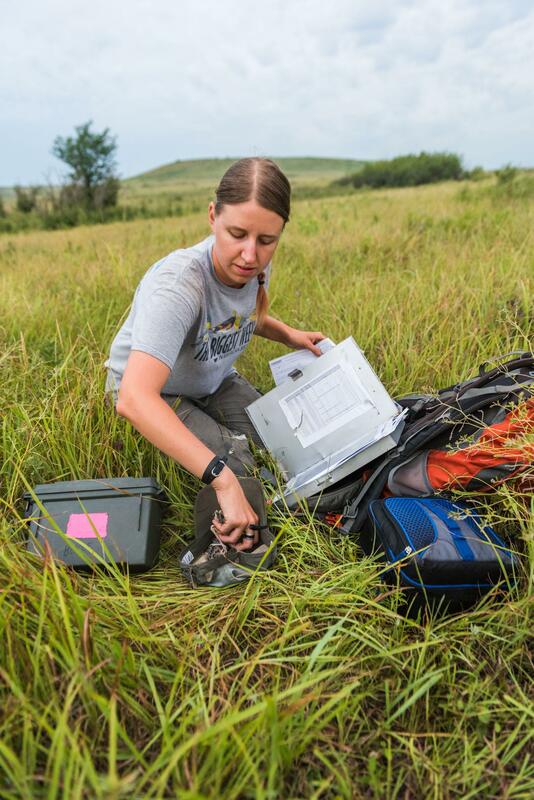 Alice Boyle, assistant professor of biology, studies wildlife around the world, from the mountains of Central America to the hills of the Konza Prairie Biological Station. 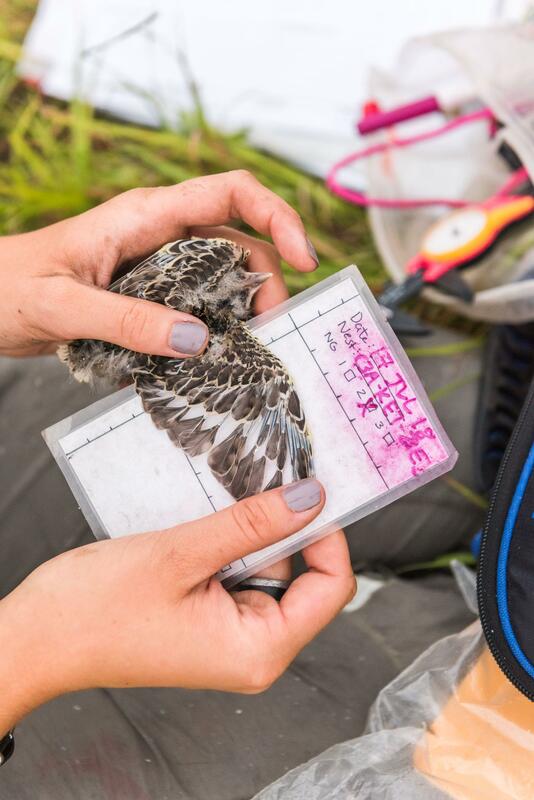 Boyle researches avian ecology, and her work is helping scientists understand how climate and weather changes affect bird movement in these two ecosystems. “Both research projects are converging because in both the tropical and the grassland systems, I am becoming more and more convinced that rainfall matters more to birds than anybody has really ever thought before,” said Boyle, whose background is in tropical biology. 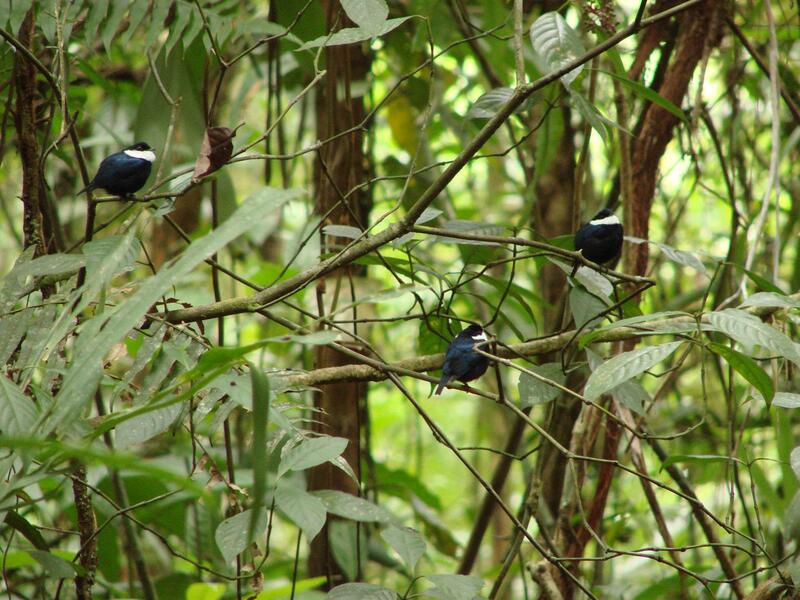 In the tropics, Boyle studies the white-ruffed manakins in the mountains of Costa Rica. The bird is known for elaborate mating displays where males dance and perform acrobatics for females. Boyle and Elsie Shogren, doctoral student in biology, are using a two-year National Science Foundation Early-Concept Grant for Exploratory Research, or EAGER, to study how rainfall influences the mating behavior and evolution of this species. 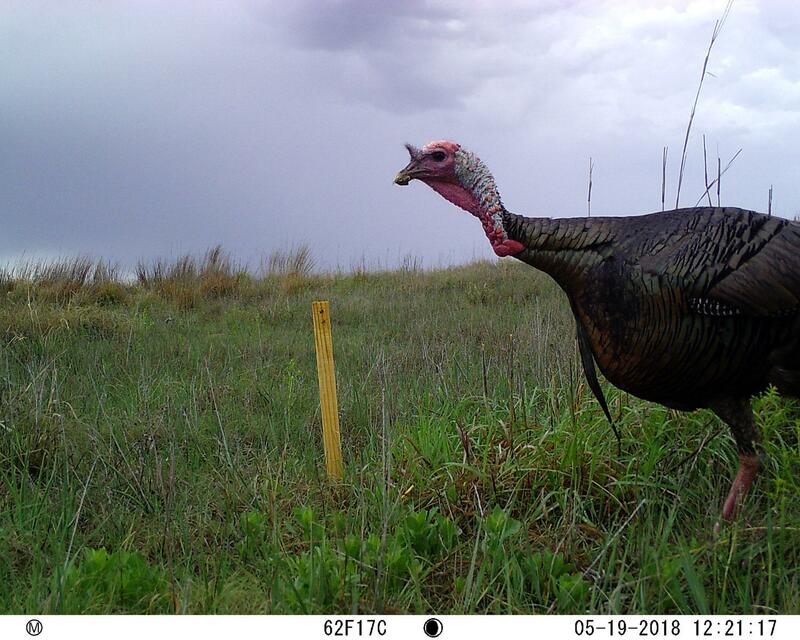 “A big interest of mind is the importance of climate, and specifically rainfall, in shaping what these birds are doing, where they are going and what kinds of decisions they are making,” Boyle said. 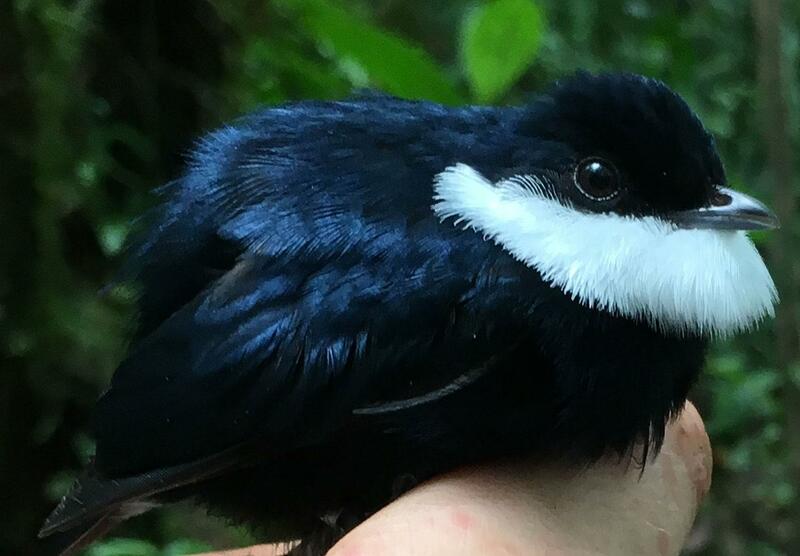 Boyle and Shogren also collaborate with an interdisciplinary team of more than 50 researchers from the U.S., Canada, Brazil, Venezuela, Colombia and Bolivia as part of a National Science Foundation Research Coordination Network to perform comparative studies of manakin evolution. Each of the network laboratories focuses on different questions and everyone combines those insights with new manakin genomic data to understand how sexual selection works from the level of the gene to the level of big biogeographic patterns. Boyle’s laboratory is the only network laboratory that studies white-ruffed manakins. Boyle also is researching birds closer to home. 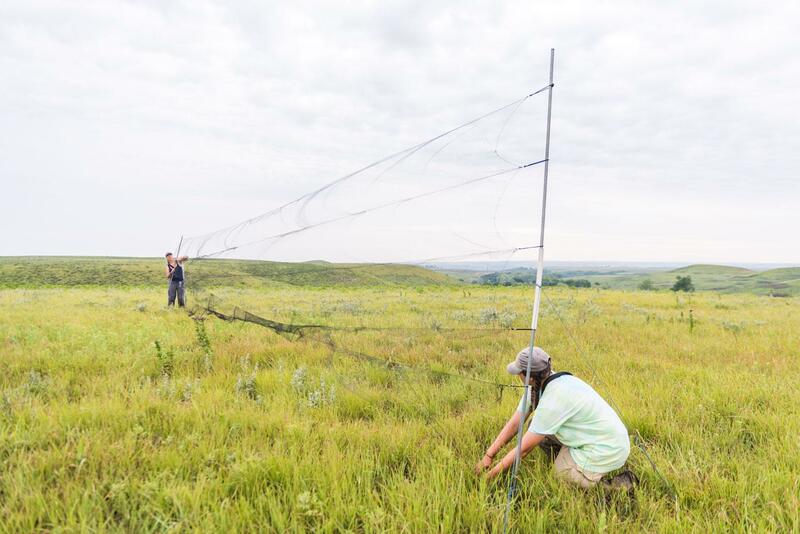 A three- year National Science Foundation grant is helping her study how environmental causes, such as weather, affect the populations of various prairie bird species. 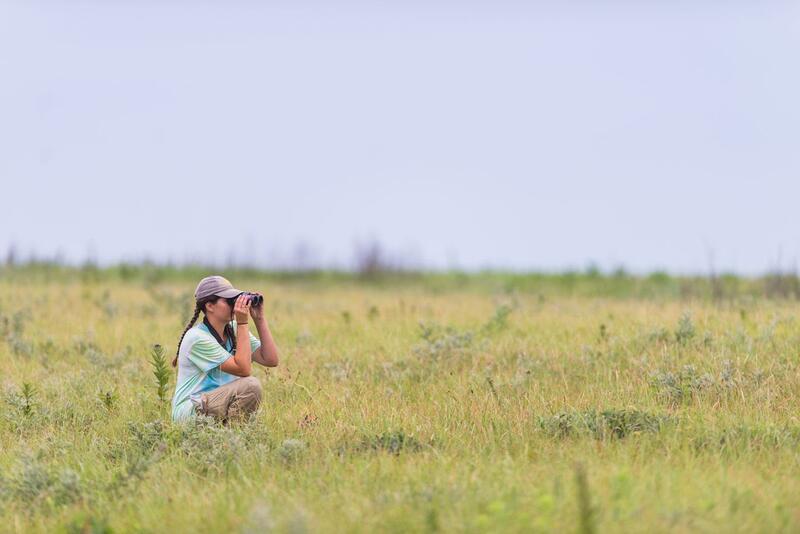 She is studying several common tallgrass prairie bird species found in Kansas: grasshopper sparrows, dickcissels and eastern meadowlarks. 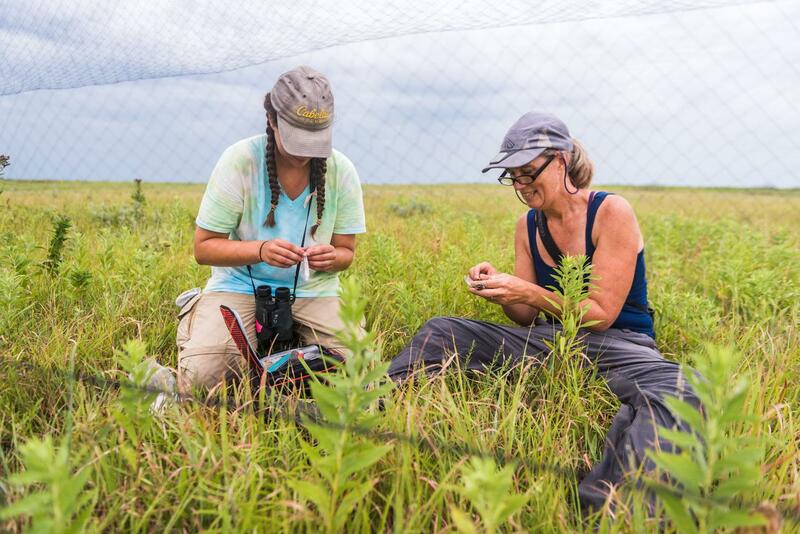 Her six-person team of graduate and undergraduate students spends the summer breeding season combing through the Konza Prairie — an 8,600-acre tallgrass prairie ecological research site jointly owned by the university and The Nature Conservancy. The team finds, captures and marks birds to track where they go every year and how often they return to the same territory. 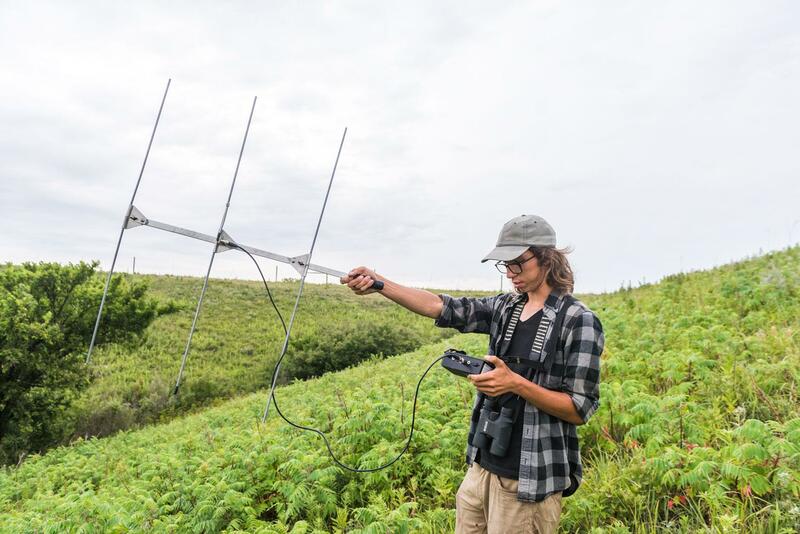 The researchers find nests and monitor their success to understand what makes a good habitat in wet and dry years and how nest success affects birds’ movement patterns. 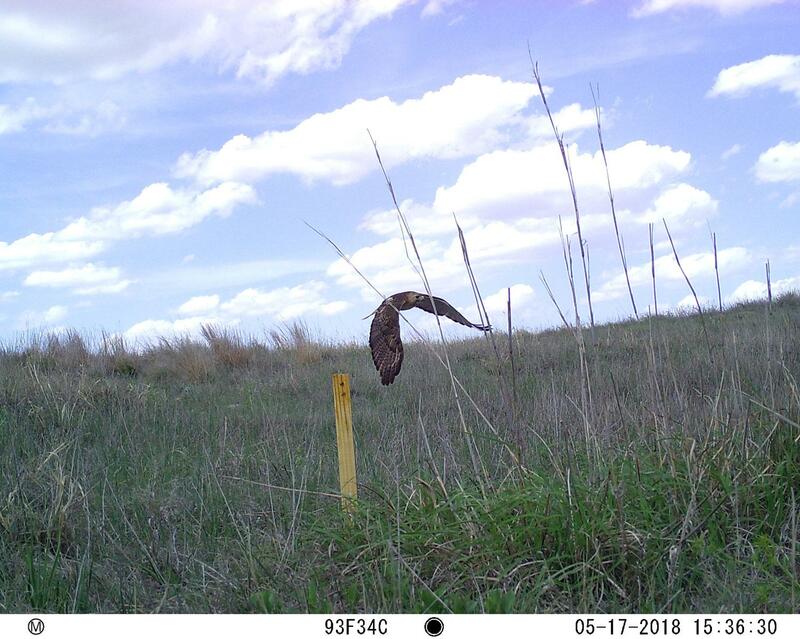 They gathered data on more than 167 nest sites in summer 2018. The research team includes Sarah Winnicki, master’s student in biology, and a group of biology undergraduate students, including Dylan Smith, senior; Blair Pfeifer, senior; Mary Kate Wilcox, sophomore; Joanna Gresham, junior; and Katelyn Thompson, 2018 graduate. 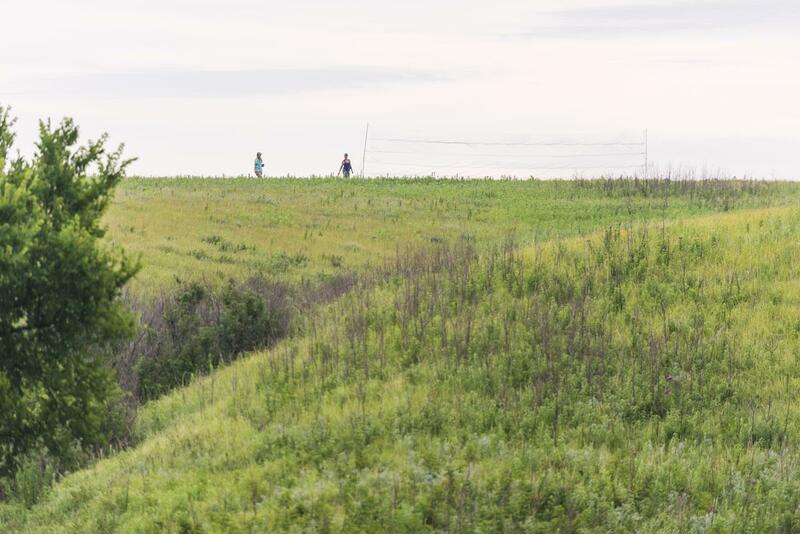 Learn more about Konza Prairie research from Boyle’s team. 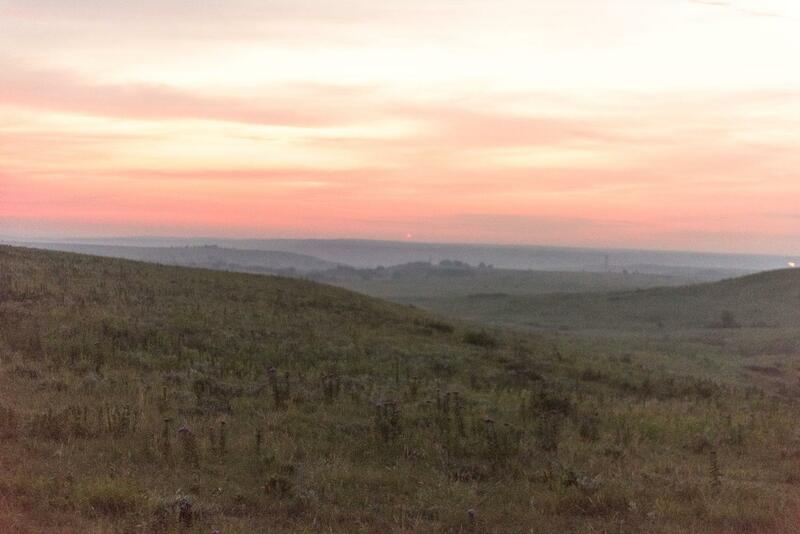 For Boyle, the research on the Kansas tallgrass prairie is a way to help an ecosystem that is quickly disappearing.